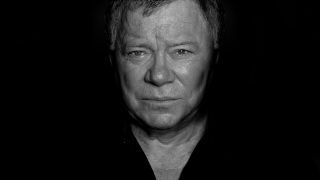 William Shatner has released his cover of Christmas classic Silent Night featuring Iggy Pop. The song will feature on the Star Trek icon’s upcoming and not-to-be-missed festive release Shatner Claus: The Christmas Album, which will launch tomorrow (October 26). It’s the actor’s first sleigh ride into yuletide territory and he’s recruited a galaxy of stars to help him send it into orbit. Shatner and Pop are joined on the album by Todd Rundgren, Billy Gibbons, Ian Anderson, Rick Wakeman, Brad Paisley, Judy Collins, Mel Collins, Artimus Pyle, Joe Louis Walker, Elliot Easton and Dani Bander. And just last month, the actor’s take on Jingle Bells with Henry Rollins was released. Shatner Claus: The Christmas Album is said to cover genres including jazz, blues, rockabilly, bossa nova and rock’n’roll, with both Gibbons and Rundgren delivering ice-melting guitar solos. A perfect Christmas gift for that special Star Trek fan in your life? Yes, we think it is.